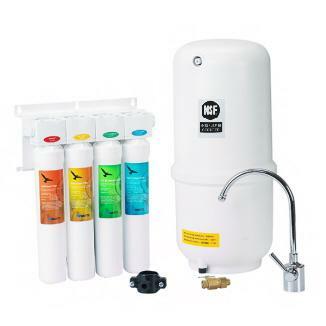 The Watts Kwik Change RO System provides you with quality Reverse Osmosis drinking water and takes the hassle out of changing the filters. 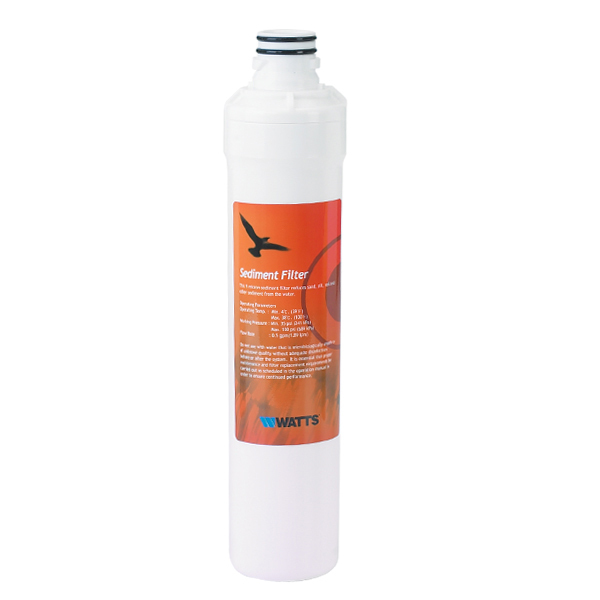 Filters are colour coded and quickly changed with a single 1/4 turn twist. No more wrenches & no messy filter housings to deal with! 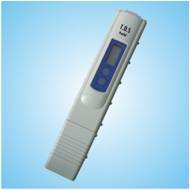 Internal valves also shut off flow when cartridges are removed. 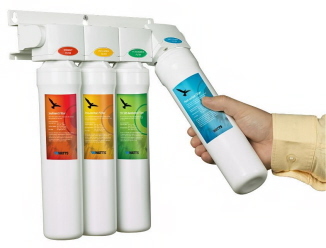 The RO system comes with a 4-stage treatment for safe drinking water. 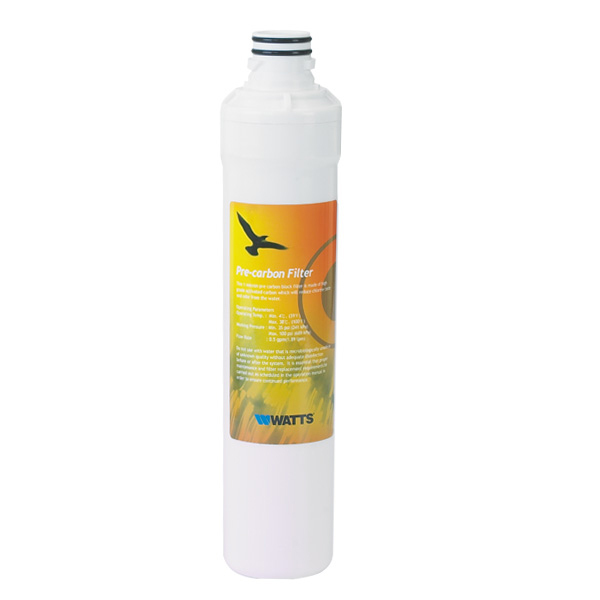 Stage #1: Pre-filter to reduce sediment, dirt, rust particles, silt and suspended matter. Recommended change every 3-6 months. 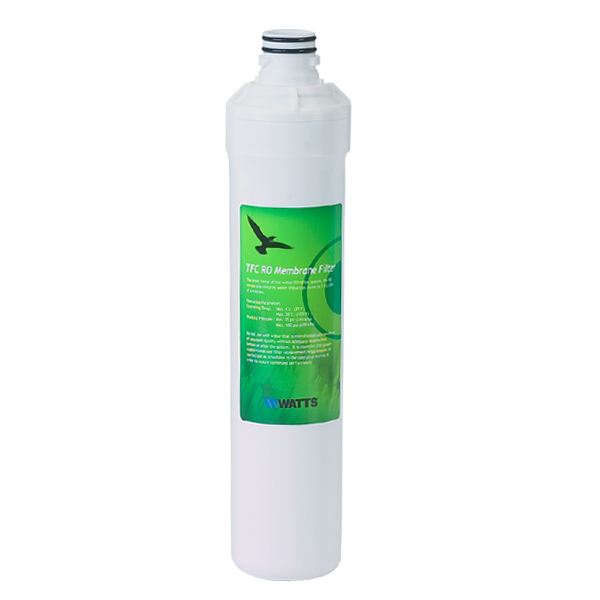 Stage #3: RO Membrane primary filter to reduce bacteria, virus and cyst; and reduce dissolved solids and contaminants. Recommended change every 1 - 2 years. Stage #4: Post-filter Granulated Activated Carbon (GAC) to remove odour and improve taste. Recommended change every 1 year. 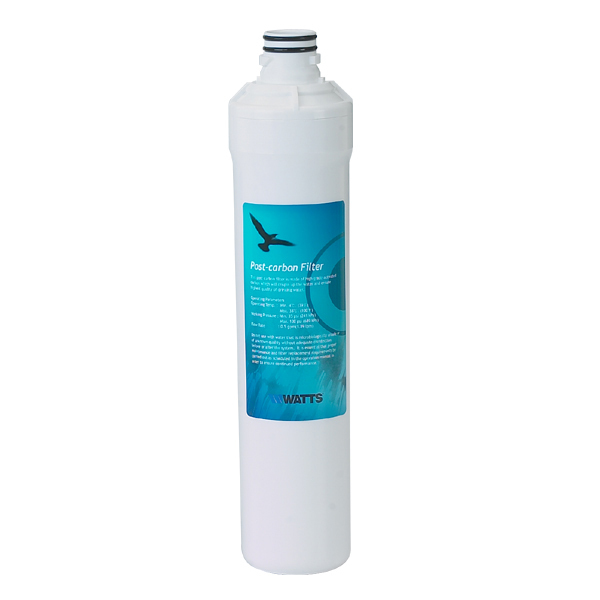 Click here for Watts® Kwik-Change™ Cartridge RO System product brochure. It's so easy! Just a simple 1/4 turn to install and remove.